Seeing all of Southern Quintana Roo just got even easier! Caribe bus service, a commuter bus line owned by parent company ADO, has just begun 10 times a day service from Mahahual to Chetumal, the state capital city, and back. Brand new, small, A/C equipped sprinter buses now are buzzing back and forth between the two towns, with drop off and pick-up service in Bacalar along the way. Finally, we now have a tourist quality bus service connecting all of the Costa Maya area, providing visitors a quality option for getting around the southern part of the state. Until now, we had to rely on local taxi vans, called combis, to do the transport from Mahahual to Chetumal. The service is cheap, but slow, the drivers make stops not just to pick up people, but to drop stuff to people, pick things up to deliver, chat with who knows who, where the Caribe buses will only pick up people in designated bus drops. They also will not over load the bus, so once the bus is full, it will not stop. The trip will get much faster at that point. Combis will continue to stop, cram in people, packages, livestock, whatever and wherever they can. They more they stuff in, the more they make. The new Caribe service on the other hand is tourist quality buses, at local prices. The cost is the same $85 pesos, about $5 US, as the combis charge. Why would you not take the Caribe! These new buses run a route from the old downtown Chetumal ADO terminal, located in the city’s old market area. From there, they go across town to the new ADO terminal located on Insurgentes Avenue, and then from there, they begin the drive to Mahahual. When they get to Mahahual, they do a return that includes stops at the same two Chetumal ADO terminals. This makes it really great, depending on what you want to do in Chetumal. If you want to go to the Maya Museum, take a city tour or shop a traditional old market, go to the last stop. If you want to go to the mall, get off at the new terminal before. The mall is a block away and easy walk. The new service is also key to connect both Chetumal and Mahahual, to Bacalar, the heart of the Costa Maya’s jungle tourism. The buses drop or pick up at the regular ADO stop on the highway. From there you can taxi anywhere in town for just a few pesos. These new Caribe buses will also be a great option for people wanting to get to Limones to catch a north bound bus to Cancun/Riviera Maya, because the ADO schedule did not work for them. A taxi to Limones is $360 pesos, where the Caribe will drop you there for $50 a person. There is a Mayab bus, another ADO company, that will stop and pick you up in Limones about every hour, to hour and a half. Those are called “second class” buses here, because they stop and pick people up along the way, where an ADO will not do that. They run up and down Highway 307, the state’s main traffic, artery all day long, and are comfortable, with A/C, and fine for tourist travel, if the more limited 1st class ADO schedule does not work for you. Read more about using second class buses here, but if you find yourself needing to use one leaving Mahahual, just jump in the Caribe instead of the expensive taxi. Also, FYI, one of the buses each day, the 4:10 PM from Chetumal, is NOT one of the new sprinter buses. This one route each day is still the old clunker, no A/C bus that has gone through Mahahual for years on its way to Xcalak. That bus is much slower and takes an hour longer, but if you want to go to Xcalak, it is the only bus, so they have kept it going. Caribe buses leave Mahahual each day to Chetumal at 5:30 AM, 6:30, 8:30, 9:30, 11:30, 1:30 PM, 3:30, 5:30, 6:30 and 7:30. You catch that bus at Fernando’s store downtown, and that is where it drops as well. Buses from Chetumal back to Mahahual run at 5:00 AM, 5:40, 6:30, 8:30, 10:30, 12:30PM, 2:30, 3:30, 4:10 (old bus to Xcalak)and 5:30. With the recent airport expansion, allowing more flights into Chetumal, and now a first class transportation system by Caribe to connect the area, the Costa Maya area is one step closer to being the “paradise found” destination we all lucked into many years ago. Getting around, the number one concern for foriegn travelers to Mexico, just got a lot easier for people wanting to see all the Costa Maya area. Fly in, bus down and leave the driving to ADO and Caribe. This entry was posted in Mahahual News, Transportation. Bookmark the permalink. I’ve been watching the ADO bus schedule and it appears that the early bus from Playa to Mahahual is no longer running, only the 2 in the afternoon/evening. Can you confirm if that is the case? 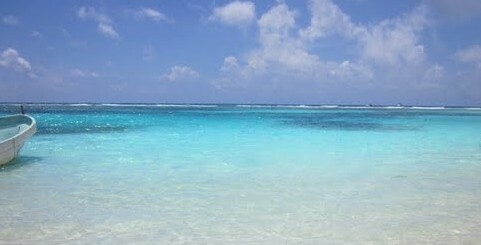 I plan on taking the bus to Mahahual in a few weeks. If that is the case, the Mayab to new caribe sprinter in Limones might be the best option. Thanks! Good thing the ADO buses run better than their web site! As best as I can tell, there is an 8:10 AM to Mahahual. That was still a few weeks ago because I rode it. It is the full size bus and it is the return bus at 5:00 PM. They have added another at I think 11:45 AM now also from PDC to Mahahual. They moved the late bus to 5:45 now and still do the bus at around 11:00 PM. All except the first bus are the smaller sprinter type buses. Great! Thank you so much for replying. I was hoping that was the case. I’m not sure exactly, but I think about 22. They have been filling lately, so buy as soon as you get to Playa or Cancun if you staying the nnight and coming the next day. If you walk up they are full, just take the next Mayab to Limones and taxi the last half hour into Mahahual. Read the blog on the Second Class Bus Trip for details on that. I’ve used it the last couple times, once because the ADO was full and once because I did not want to wait 5 hours. Big buses, more comfortable than the sprinters, and the cost to Limones is only $165 MX, or about $10 US. Taxi from Limones to Mahahual is $360 MX for a small car. Takes almost the same time. Dwight, I did not notice you were coming from Chetumal? Yes, those Sprinters are the best way back and forth from there.Same size, about 22 people. Are you able to take luggage on the sprinter bus from Chetumal to Mahahual? Hi Mary. Thanks for reading the blog! Those buses can carry a regular size bag or two but can’t do large amounts in most cases. They do not have the large under the carriage storage compartments like the larger ADO buses. If you have one regular size roller type bag and maybe a smaller one, that would be fine. But large amounts, diving gear, golf clubs and such, as well as your regular bag, might be too much. Normal luggage, they can usually do just fine. I will be flying into Chetumal on 3/8/18 and arriving aroung 9.30pm. I was looking to get transportation to Mahahual. Ill be traveling in a party of 10 people. Where do we get the transportation from? And where in Mahahual do get it coming back? What the earliest does the Transportation from Mahahual start? That late you will not have many options to get to Mahahual. No buses that late. The bus/taxi situation inside the airport is such that it costs a lot to get a ride from there because of taxes. There are special airport taxis and that is going to be your best bet for that late. I do not know much about them but I know the regular taxi rate for a van from Mahahual to Chetumal is $2200 pesos, which today is about $125 US.The rate back should be about the same. That would be from a taxi outside the port. It would be a cumbersome process to get outside the airport and wave down a taxi large enough and get an accurate price. Taxis are notorious for sensing desperate customers, which you will be. My guess is the airport taxi rate will be $500 pesos more, which is about $30 US. If you can get a airport taxi van that size, it would be about $150-$160 US, using the Mahahual rate. Here is a link from my blog with the taxi rates for the different size vehicles to local cities, including Chetumal. 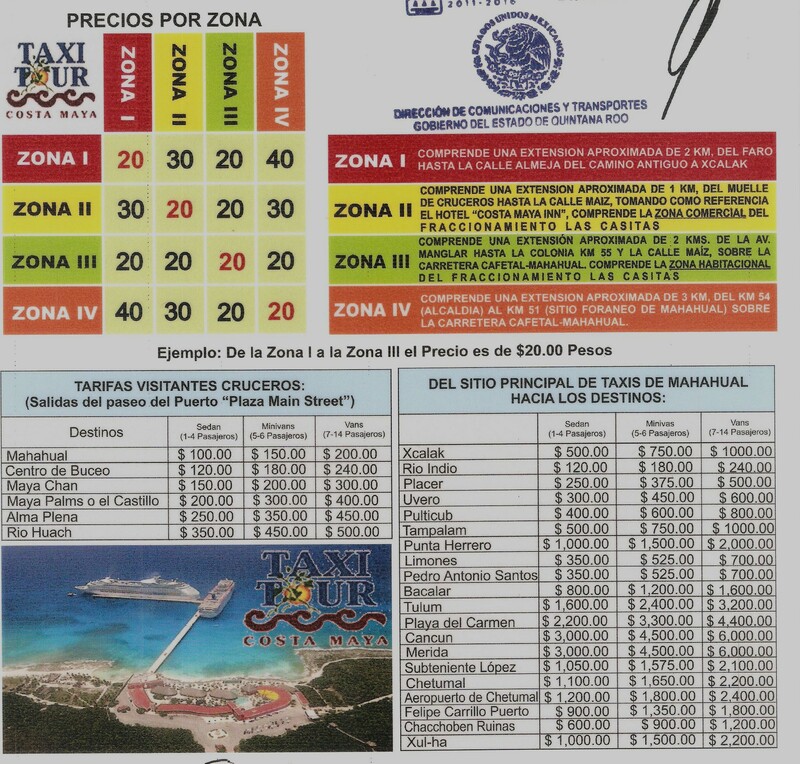 https://ahhhmahahual.files.wordpress.com/2014/01/mahahual-taxi-rates-copy.jpg Your best bet is to use the airport taxis, even if you have to use several vehicles. Otherwise, stay at a hotel and ride the Caribe the next morning.